whilst Jennie and Sally passed over plants, gave advice and generally encouraged. Sally managed all the water from the river, no photos but without it the plants would not have looked so good. Now we hope the weekend won’t be too hot so that they can display themselves at their best for the summer. After our tour we enjoyed a buffet comprising goodies from the shop and a pleasant glass of something refreshing. If you are ever offered an opportunity to visit the bakery it should not be missed. All monies raised through donations on tour nights goes directly to St Margaret’s Hospice which Bob has been supporting for a number of years, well done and thanks Bob. Oh, by the way, the prize crimper was President elect Mike Kew, well done. Following on from Thursday’s Royal Visit by HM The Queen, Brue Valley Rotary hosted the weekly coffee morning at the Community Hall in Bruton. 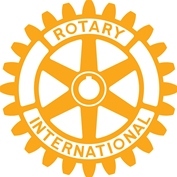 Although the turnout was slightly below usual, exhaustion from Thursday was suggested, there was a strong team of Rotarians on hand to make things run smoothly. With home made cakes, books, bric-a-brac and the magnificent raffle on offer, Rotary funds benefitted by more than £126 from the event. A challenge for the forthcoming Castle Cary coffee morning !